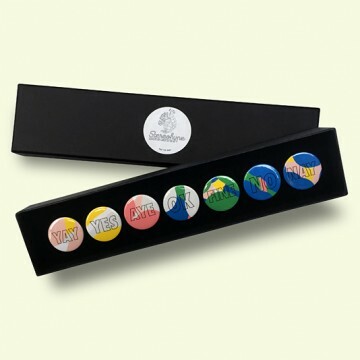 Badges by Julien Martin from Stereohype's B.I.O. Series 16. Single badge SKUs: B1212B16, B1213B16, B1214B16, B1215B16, B1216B16, B1217B16 and B1218B16.